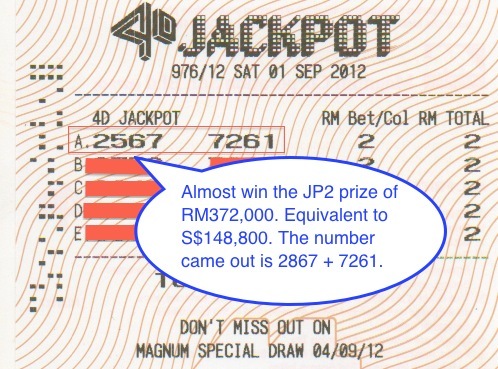 We almost win the RM374,000 on 1 Sept 2012 from the Magnum Jackpot Pooling Game. We missed by just 1 digit, the number 2567 instead of 2867. We have this close encounter many times, I am sure we continue to play with our special strategy we will win the big prizes.